On Saturday, some of the most powerful and inspiring women in the world of music and entertainment will come together in Cleveland to celebrate reproductive rights. Grammy-nominated Sia will headline the All Access abortion rights concert in Cleveland, and it will be hosted by Jessica Williams. To add to the bevy of celebs, Leslie Jones will take the stage at Cleveland State University's Wolstein Center to do a comedy set. But amid these Hollywood favorites, there will be a woman who has her own (very) rightfully-earned celebrity status in the world of reproductive rights: Planned Parenthood President Cecile Richards. 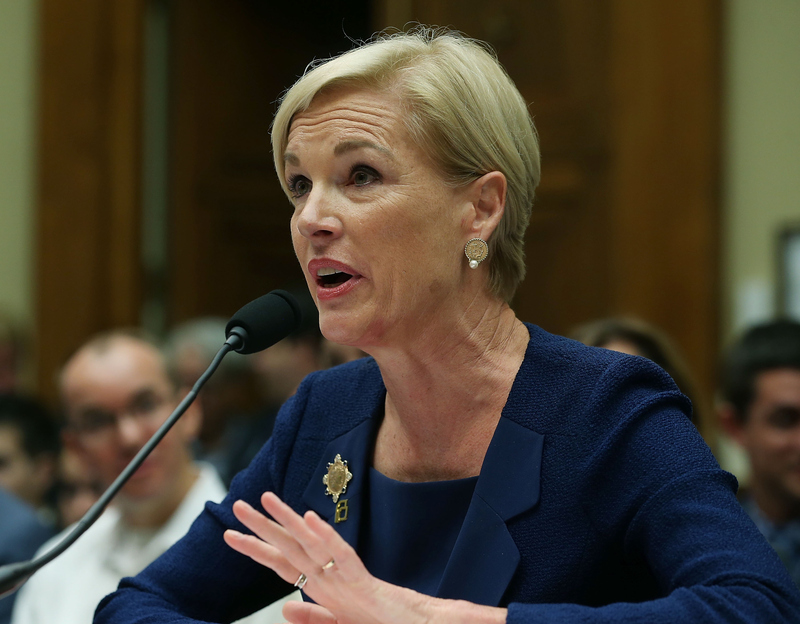 Richards has led Planned Parenthood during some of its most trying times. Last year, she testified at an intense House Oversight and Government Reform Committee hearing, defending Planned Parenthood after unfounded concerns the group was supporting the "the sale of baby body parts," as Rep. John Duncan of Tennessee said, with fetal tissue research. Despite the Congressional grilling in 2015, Richards led Planned Parenthood forward, and to a certain degree, she thinks these federal and state battles have only made the reproductive rights movement stronger. "In a way, these attacks on abortion rights and Planned Parenthood have really just galvanized a whole new generation of activists," Richards tells Bustle. Moreover, the following year saw a major victory for the reproductive rights movement with the Supreme Court striking down Texas' House Bill 2 in June with Whole Woman's Health v. Hellerstedt. House Bill 2 mandated stringent abortion provider restrictions, which reproductive rights advocates argued contributed to the shuttering of more than half of Texas' clinics. But Richards stresses to Bustle that it's no time to rest on their laurels. "There are so many battles across the country... and so many at the state level," she tells Bustle. Richards that this coming year is "definitely going to be a fight." At the same time, because there is still so much work to be done to secure women's reproductive rights, Richards tells Bustle that she's really pleased the All Access concert on Sept. 10 in Cleveland, which also has partner events in more than 30 cites throughout the country, will provide a dose of fun and levity. "I think this kind of event, which features some very cool celebrities… is something that’s a nice compliment to the daily political battles that we’re already engaged in across the country," Richards says. Moreover, Richards views the concert as serving a larger purpose. "The idea is to engage folks in a very pro-active, positive way about the fact that abortion is an important medical procedure, it’s an important medical right, and that we need to get it out of the shadow, and we need to talk about it openly and positively."